Who ever thought the most-publicized quarterback on the free agent market would be one whose team went 2-14 last season and is 4-20 in his last 24 starts? Well, when you consider who the quarterback is, you won’t be surprised. It’s Colin Kaepernick. And in a market that still contains Tony Romo (not a free agent but he’s not staying in Dallas), Ryan Fitzpatrick, and Jay Cutler, Kaepernick has received by far the most attention. If you want to know why he has received the scrutiny he has, the answer is obvious. Last season, Kaepernick knelt during the national anthem before each game as a protest of what he views as racial inequality in the United States. There have been billions and billions of think pieces about the merits of his protest and his political beliefs; for what it’s worth, Kaepernick has announced that he will stand for the anthem next season (if he’s on a roster, that is) because he feels that the protest is detracting from his original message. This article won’t be about examining Kaepernick’s activism or his beliefs because seemingly everyone has an opinion on it and if I shared mine, it would assuredly be something you heard already. This article will be an examination of Kaepernick’s value to an NFL team strictly as a quarterback and nothing more. It’s clear to see why Kaepernick’s performance last season may have been hindered; after all, the team’s two leading wide receivers last season were Jeremy Kerley and Quinton Patton, and together, they barely scraped together 1,000 receiving yards. But here’s another question: was Colin Kaepernick really all that bad last year? Consider this: in Kaepernick’s 11 starts, he threw for 2,241 total yards, which comes out to slightly over 200 yards per game. That number is not good; the 49ers were involved in many a blowout last season, and it’s telling that Kaepernick was not able to inflate his numbers in garbage time. Some of that is due to his supporting cast, but you should probably throw for more yards if the defense plays a soft zone against you for an entire quarter in just about every game. Still, we should look a little deeper at what Kaepernick did last season. In those same 11 games, he threw for sixteen touchdowns and just four interceptions. Before you dismiss those numbers, think about it this way. Chiefs quarterback Alex Smith is generally regarded as the best game manager in the league. That reputation is warranted, as Smith has not thrown double-digit interceptions in a season since 2010. And for, as good as Smith was last season, his touchdown-to-interception ration last year was 15:8, or roughly half as good as Kaepernick’s. Also, Smith had one of the best tight ends in the game (Travis Kelce), a game-breaking wide receiver (Tyreek Hill), and one of the most consistent pass-catchers in the NFL (Jeremy Maclin). Kaepernick had Kerley and Patton. Kaepernick did, however, post mediocre numbers in other areas, as he threw for under 200 yards in five of his eleven starts and posted a less-than-stellar 59% completion rate as well as a very average 6.77 yards per attempt. Those statistics are a warning sign for what Kaepernick brings to the table, and they show that the quarterback has significant work to do in several areas. There’s also this: Kaepernick, for reasons only known to Colin Kaepernick, opted out of his contract with the 49ers and gave up $14.5 million in guaranteed money. In essence, he decided to make himself the Dave Chappelle of the NFL. No one knows what Kaepernick will get in his next contract, but I somehow don’t think he’ll get as much as he was making in San Francisco. I understand that Kaepernick wants to bet on himself, and that’s completely fine. But, from a business standpoint, it simply wasn’t smart for Kaepernick to opt out of his deal, and that part of his current situation falls squarely on him. Another thing to think about here is that teams could sign Kaepernick without the requirement that he be their starting quarterback. There are plenty of teams that could use a backup quarterback, and as last season showed, having a good second-string QB can be vital to a team’s success (see: Prescott, Dak). Kaepernick could do that for a team, even if he isn’t good enough to be a starting quarterback. I’m not saying Colin Kaepernick is an elite, or even good, NFL quarterback; watching him for just one series in a game clearly proves that he is not. But consider this: out of the three best quarterbacks still, for all intents and purposes, on the market (Romo, Cutler, Kaepernick), only one has started in a Super Bowl. Here’s a hint: it’s not Romo or Cutler. Even though Kaepernick isn’t an overly skilled quarterback, his playoff experience should be a feather in his hat for teams looking to add a signal-caller. Colin Kaepernick should be able to find work sooner rather than later. While the sports media is currently panicking about his state of affairs, there are a handful of teams who could use a quarterback of his caliber. A team like the Browns could assuredly use Kaepernick’s experience, and, frankly, his talent, to fill their quarterback void in the short term. And many other teams could use some additional depth at the quarterback position, and Kaepernick could be just the man to help them out. Despite this, though, Colin Kaepernick is still a free agent. His ability to play the position shows that he probably shouldn’t be. The bracket for the NCAA Tournament was revealed on Sunday, which means it’s that time again.  By Thursday, roughly 40 million Americans will have filled out about 70 million brackets only to have most of them be destroyed by the weekend because of upsets, injuries, and chaotic, beautiful madness. Let’s take a look at some things as we head into the tournament. Madness is upon us. It’s the most wonderful time of the year. Picking Oregon In Your Bracket? Duck. Heading into last weekend, Oregon was considered one of the top teams in the country and a serious threat to go to the Final Four in Glendale, Arizona. After all, the Ducks made it all the way to the Elite Eight last season and looked like one of the most complete teams in college basketball for most of the season. Unfortunately, star forward Chris Boucher went down in the team’s Pac-12 Tournament semifinal win over Cal. At 6’10”, Boucher gave the Ducks serious length and the ability to stretch the floor offensively. He was also Oregon’s third-leading rebounder and, most importantly, a senior leader on a fairly young, albeit experienced, squad. Assuming the Ducks are through to the Sweet 16, they would likely play either Michigan (the hottest team in college basketball) or Louisville (a big, tall matchup nightmare given Boucher’s injury). Oregon was a Final Four-caliber team with Boucher. Without him, they become rather ordinary. 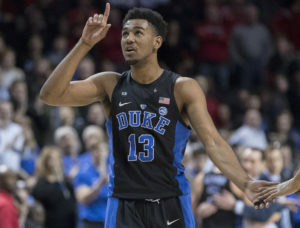 Aside from Michigan’s resurgence, the biggest story of last weekend in college basketball was Duke’s run at the ACC Tournament. The Blue Devils, led by Freshman Jayson Tatum and Sophomore Luke Kennard, defeated Clemson, Louisville, North Carolina, and Notre Dame last week. More impressively, they beat those four teams in as many days. One would figure that for their troubles, as well as their twelve RPI top 50 wins (tied for the most in the country), the Dukies would get a favorable draw in their region. Instead, the Blue Devils are the 2-seed in the East region, which means they would likely have to go through Villanova to get to the Final Four. Better yet, a potential Sweet Sixteen matchup with SMU looms, and the Mustangs, one of the most well-rounded teams in the country, are more like a 3-seed hidden on the six-line. In the second round, the Blue Devils face a potential matchup with South Carolina in a game that will be played in Greenville, South Carolina (that seems fair). If Duke survives all of this, they may never lose a basketball game ever again. The more realistic scenario is that they don’t. Well done, selection committee. The Buccaneers play Florida in their first-round game Thursday afternoon in Orlando. Florida is a difficult draw, but consider that, since losing starting center John Egbunu on February 14, the Gators are just 3-3 with two losses to Vanderbilt. East Tennessee State boasts one of the best point guards in the country in senior T.J. Cromer, who makes three three-pointers per game and averages just over nineteen points per game. Florida is one of the top defensive teams in the country, but the Nigerian-born Egbunu was a valuable rim protector who has not been easy to replace. If Cromer is able to get to the rim, and the Buccaneers are making shots from the outside, it could be a quick March stay for the Gators. Last season, Purdue lost to Arkansas-Little Rock on the first day of the NCAA Tournament. The year before, they lost to Cincinnati… on the first day of the NCAA Tournament. One can understand why patience might be running thin with this group. However, let me talk you into the Boilermakers for this year’s tournament. First of all, the team has star big man Caleb “Biggie” Swanigan, the likely Big Ten Player of the Year and one of the best players in the country. Swanigan averages 18.5 points, nearly 13 rebounds per game, and shoots 43% from the outside. He figures to be a total matchup nightmare for just about whoever plays Purdue in the tournament. The difference between last year’s Purdue team and this one, though, is guard play. Junior Dakota Mathias has paced the squad and Carsen Edwards has been very solid at shooting guard. This season, Purdue ranks third in the country in assists per game and has a 1.38 assist-to-turnover ratio. The Boilers also rank in the top five in the country in three-point shooting. Bottom-line: Purdue is one of the most well-rounded teams in the country and can beat anyone in the field of 68. And there’s nothing they can’t do when Biggie is hypnotizing his opponents. True story: I have Purdue coming out of the Midwest region. I really believe they’re that good. Yes, the Tar Heels looked very vulnerable in the ACC Tournament and have their fair share of flaws. But North Carolina is the most complete team in this tournament, and even though they’ve been far from perfect this season, they’re my pick to cut down the nets in Glendale on April 3. Every contender in this year’s field scares me to a certain extent, and this includes the Heels. But they don’t scare me nearly as much as some other top teams, and at some point, experience must factor into the equation, as well. I’m picking North Carolina to defeat Gonzaga in the championship game, and I’m not looking back. The standards for the Cleveland Browns and their front office are not exactly high. The Browns have made bad decision after bad decision since their return to professional football in 1999. The team has cycled through nine coaches in the last 18 seasons and only one (Butch Davis) reached the playoffs. Most amazingly, Cleveland has started a whopping 26 different quarterbacks during the franchise’s most recent incarnation, and the debate over which one was most successful is likely a two-horse race between Kelly Holcomb and Derek Anderson. The Browns have had so many quarterbacks that someone made a jersey with all of their names but retired it because, well, there was no more room. So it’s easy to understand why one would be skeptical of just about any move the Browns would make. Their most recent decision, though, shows that they may have a clue as to what they’re doing. 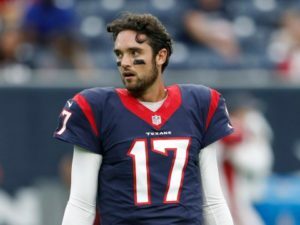 Yesterday, the Texans traded 72-million-dollar quarterback Brock Osweiler to Cleveland in exchange for the Browns’ fourth-round pick in this year’s draft. The Browns also acquired a second-round pick in next year’s draft and a sixth-round pick in the upcoming draft. The move frees up $18 million in cap space for the Texans to try to get Cowboys quarterback Tony Romo, who happens to be a massive upgrade over Osweiler. It’s what the move does for the Browns, though, that makes this trade so interesting. As for Osweiler’s future in Cleveland, the Browns are reportedly expected to trade or release him before the start of next season, meaning that Osweiler will never play a snap for the Browns. As for his $16 million salary in 2017, the Browns will have to pay some portion of it even if Osweiler does not play for the team this season. If he is traded, the team that acquires him will likely pay part of his salary with Cleveland footing the bill for the difference. If he is cut and signs with another team, the Browns would pay the difference between his $16 million salary for this season and his new salary (likely much lower) with his new team. And if you don’t think the Browns can pull this off, just remember that they are literally sitting on over $100 million in cap space. So, to recap: the Browns took Osweiler’s salary off Houston’s hands, acquired two draft picks in the process, and will never have to deal with Osweiler’s mind-numbingly bad quarterback play. Not bad at all when you think of it in those terms. Last January, the Browns hired longtime baseball executive and analytics guru Paul DePodesta to head their front office as Chief Strategy Officer. At the time, the moved seemed like a desperate shot in the dark, and frankly, it probably still is. After all, why in the world would you hire a baseball executive to head a football front office? The logic seemed shaky at best, but for a franchise that, at the time of his hiring, had won only 30.5% of its games over the course of nearly 20 years, bringing in DePodesta signified that the Browns had very little to lose. Sure enough, just like DePodesta’s teams did in baseball, the Browns have embarked on a rather unconventional approach to rebuilding their team. In last year’s draft, Cleveland led the league with 14 selections, and this was in no small part due to their trading of the #2 overall pick to Philadelphia. The Browns have also avoided reaching for quarterbacks in both the draft and the free-agent market, and it’s hard to argue with this strategy; after all, the Browns have needs at just about every spot on their roster and reaching for another potentially disappointing quarterback would set the franchise back for years to come. This year, Cleveland has the #1 pick in the draft. Pretty much every report out of Cleveland says that the team will take Texas A&M defensive end Myles Garrett with their selection. Personally, I would do the exact same thing if I was Cleveland; Garrett posted one of the best Combine performances in history and looks like a surefire choice at number one, assuming he doesn’t tell the Browns he wants to play for the Cowboys. Assuming they do take Garrett, the Browns could potentially be getting a franchise-altering game-wrecker who could single-handedly improve a defense that ranked second-to-last in the league in total defense a season ago. Yesterday’s trade pretty much falls in line with what DePodesta and General Manager Sashi Brown are building with the Browns. Acquiring Osweiler for basically nothing allowed the team to stockpile more potential assets for this season and beyond. The Browns know that they are still at least another year away from contention and their strategy of building assets for the next couple of years seems prudent. Yesterday’s trade was merely a means to that end; Osweiler has no future in Cleveland and the Browns only used him so they could acquire selections in the next two drafts. In fact, it’s probably easier to think of yesterday’s deal in basketball terms. Many times, contending teams, particularly at the trade deadline, will trade away players to give up cap space to make other deals. The team acquiring that player will then immediately release him, as they have no real place for him on their roster. That is what the Browns are doing with Osweiler. The deal works out for everyone except Osweiler, but it’s hard to feel bad for him when it’s blatantly clear he is not worth one-third of his current salary. This trade is one that only the Browns front office would even think of making. After all, it would probably make Sam Hinkie blush. The Browns’ strategy here is similar to Hinkie’s as GM of the 76ers; stockpile assets for the future, don’t be in a rush to win, draft well, and be very patient. Hinkie was removed as General Manager last season but many of his decisions (i.e. drafting Dario Saric and Joel Embiid) have paid off, and Philly’s new front office has reaped the benefits of Hinkie’s genius. But Hinkie didn’t get to see his process through. Hopefully, the Browns’ front office team does. After all, it’s clear they just may be on to something. Slightly over a year ago, I wrote an article extrapolating on the dangers of storming the court, particularly in college basketball. I likened it to the Running of the Bulls and offered a proposal to combat the growing issue of fan, coach, and player safety in instances of upsets. However, my exposure to these activities was somewhat limited; I had only rushed my high school’s football field twice and while a high school basketball court is 84 by 50 feet, a football field is 360 feet by 160 feet, meaning that there was more than enough room for everyone to get on the field. And then something happened yesterday that completely proved the point I made last February. Yesterday, I attended my school’s (Bergen Catholic) state semifinal basketball game. The game was tight, albeit less-than-aesthetically-pleasing, throughout, and the outcome rode on the Crusaders getting one last stop to close out the game. Bergen was up three and, though the defense surrendered a buzzer-beating layup, held on to defeat St. Peter’s Prep, 47-46. Seconds after the final buzzer, everyone in the student section (including myself) stormed the floor (Bergen was the higher seed in the tournament, but whatever). There is a short list of safe places to be during a court storming. “On the ground” is not one of them. Seeing the bottom of people’s shoes is not what you want to see in a situation like this. Holy Lord, that was frightening. In reality, the danger was not overwhelming. But it could have been. I was on the ground for roughly 15 seconds or so. I likely was not in imminent danger of serious injury, but in the moment, I was scared to death. Luckily, one of my friends realized what was going on and helped me up. If he had not done that, I very easily could have been injured. I’m not going to name him, but he saved me from further danger. This is the problem: while the court storming was fun (I enjoyed myself until I got dropped), it is an incredibly dangerous and inherently unsafe activity. If it’s done right, no one gets hurt and everyone has a great time. That’s an awfully big if. Another point I must make is that I completely panicked when I hit the floor. However, I wasn’t sure if getting up in that situation wouldn’t have subjected me to more of a rush from the opposite direction. I picked my poison, which was to stay on the ground until I got help. It may not have been the best option, but it worked out in the end. One more thing I should say: I’m not mad. This is no one’s fault. Students rush the floor because it’s fun and exhilarating. Security at the game didn’t follow through on any sort of protocol because I highly doubt they have one. But the personal experience of literally being underneath a court storming is something I never wish to experience again. No one is at fault, but that doesn’t make it less scary. I’m also not writing this just because it was me on the ground (it does help, though). Yesterday, I almost became a victim of something that is practiced across the country on an almost-daily basis in the fall and the winter. Thankfully, I was not. But we must change our thinking on this issue before someone else is.